PIN Photo-detector with fiber connector or receptacle/adapter. 850nm photodiode or receiver module, with ST receptacle. 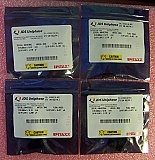 Optek P/N: OPF422, OPF432, OPF471, OPF472, OPF482. 'Sell As Is', no Warranty.